I’ve been eating a lot guys. 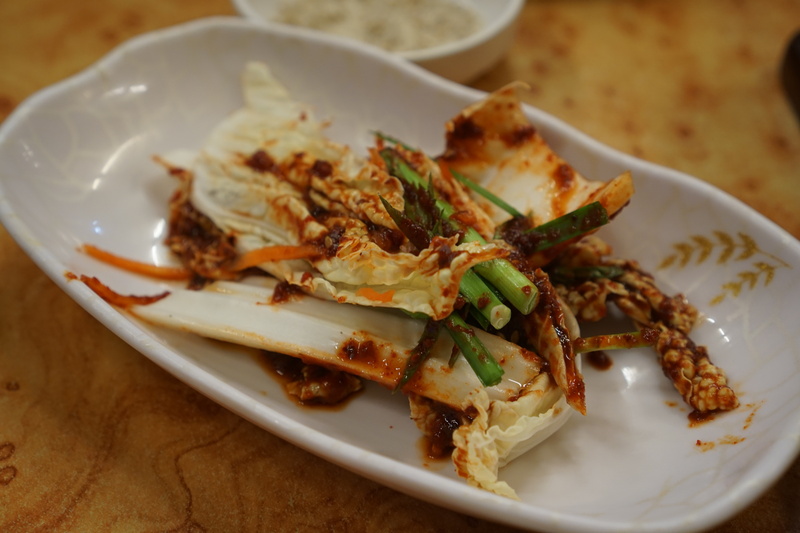 I pretty much ate everything in my path since day one in Korea because finding life changing food is always on my to-do list. 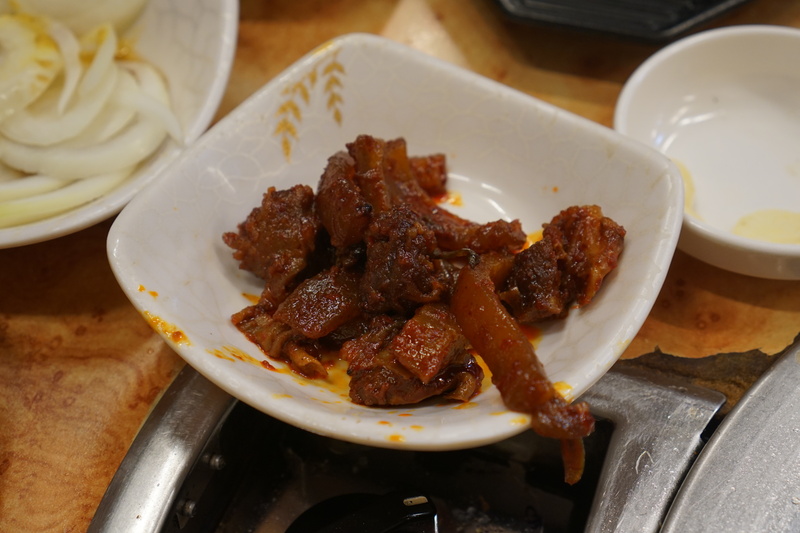 My adventurous eating has led me to some orally orgasmic dining experiences, but last month’s Jeju trip to a popular black pork bbq restaurant stopped me dead in my tracks. 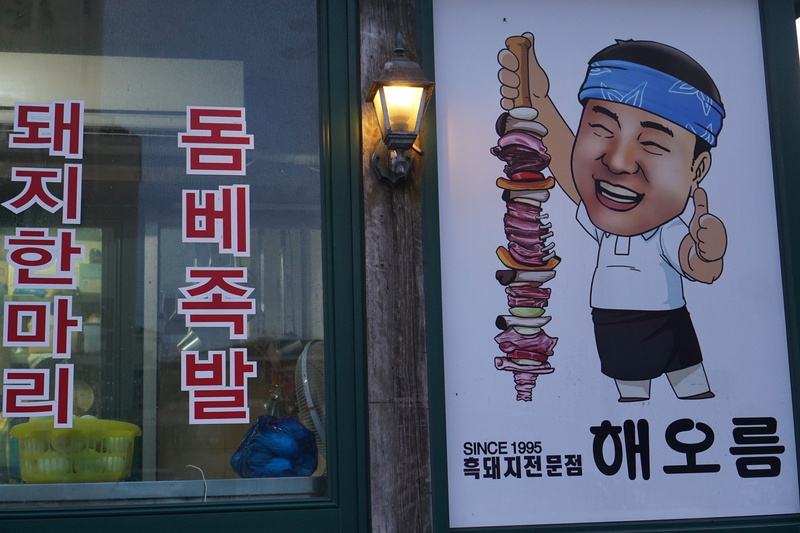 The island of Jeju is known for many unique things and black pork is certainly one of them. 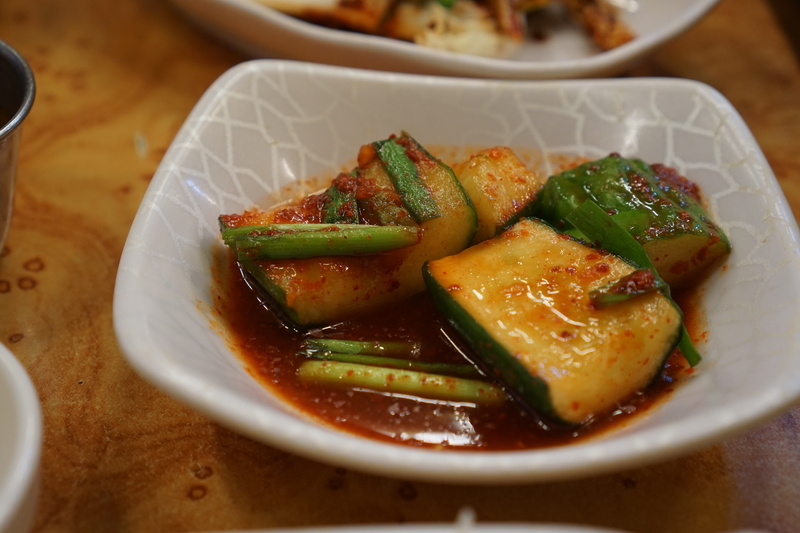 My friends and I were excited to try out this popular restaurant, dubbed by Eat Your Kimchi as “The Best Korean Barbeque in the World.” I’ve been following other bloggers and You Tubers to find the best eats in Korea, and I have to say that this was probably one of my most highly anticipated meals. 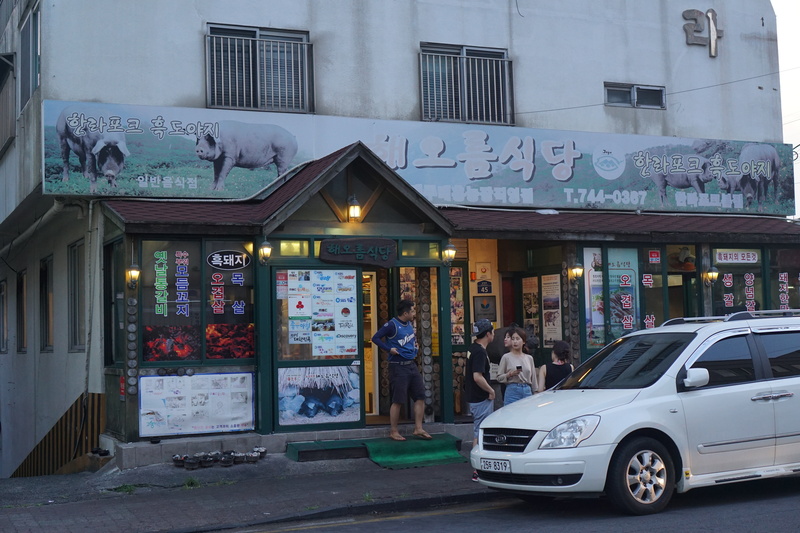 I couldn’t tell ya why black pork is such a big thing in Jeju, but we were determined to see what the hype was about. Look for this little man! My friends and I rolled up to the busy restaurant on a Sunday evening and were seated after a short wait. Almost every table was filled with other patrons, which is always a good sign! 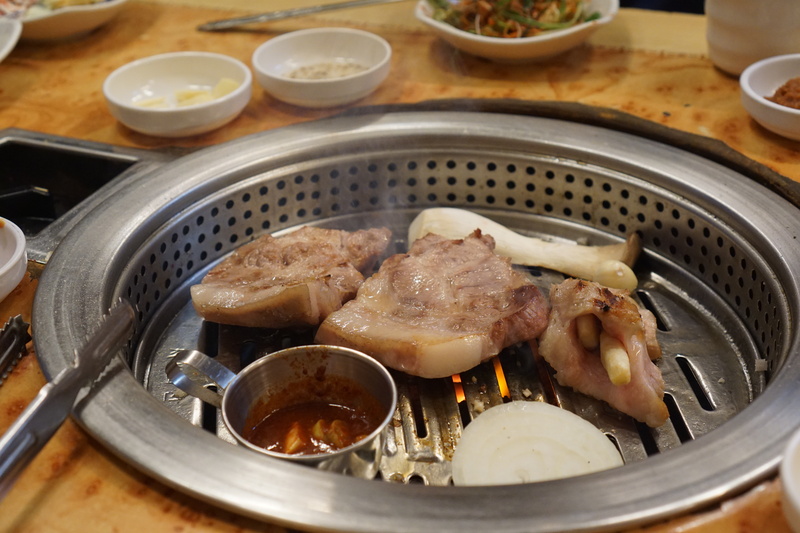 We ordered the platter that included the black pork, ribs, and some beef for 90,000 KRW (~$90 USD). The service at this place was superb. They were busy but the waitresses still came over to season and cut the meat. The meat was juicy, tender, and so flavorful. It was definitely some of the best Korean bbq I had ever tasted, and I couldn’t stop stuffing my face bite after bite. 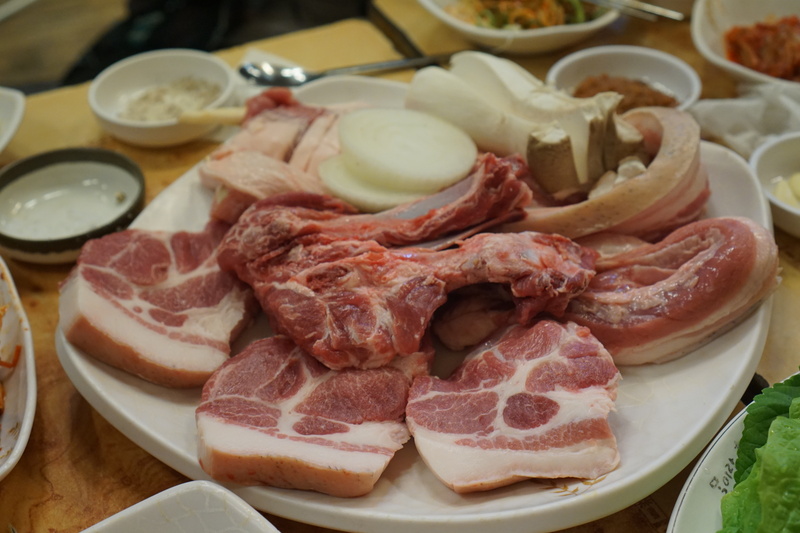 90,000 KRW ( ~$90) Platter of black pork belly, ribs, & some other cuts. This porky porridge was DA DOMB! We even ordered the pork skin because I was curious about the taste. It didn’t taste bad, but the chewy gelatinous texture was different for me. I kept chewing it trying to associate it with something that I’ve had before, but honestly there’s nothing quite like it. I was glad to have tried it, but it’s not a dish I would particularly crave. I could hardly breathe by the time I finished the meal, because I over indulged. I wished I had another stomach just so I can hold more food! 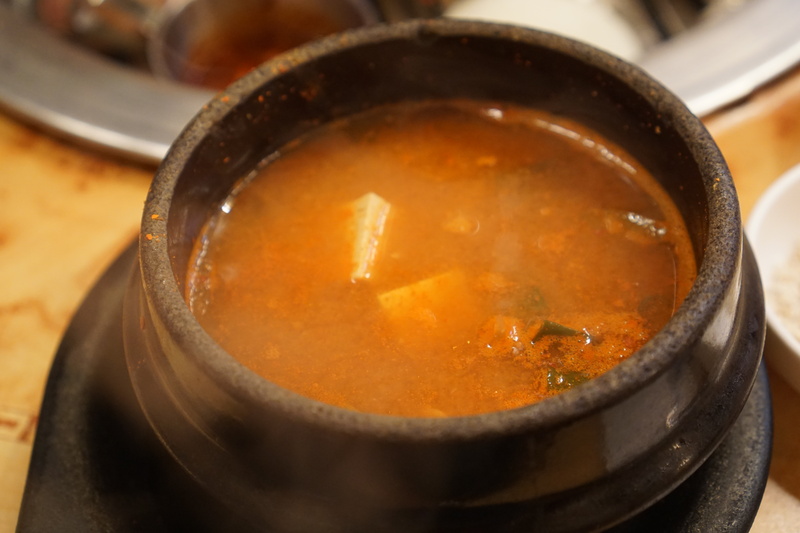 It was one of the most unforgettable dining experiences I have had in Korea, but not for the reasons you think. Later that evening…. nausea set in, and I tossed and turned all night in my sleep. A few hours later, I ended up having a full on puking marathon. I threw up E V E R Y T H I N G. I wasn’t the only one that felt sick from dinner that night, but I was the sickest of them all. I didn’t eat anything for days after that meal. I realize this isn’t the typical happy ending blog post, but it’s definitely something I had to share! I’m sure that pork was thoroughly cooked, but as with all things in life, consume at your own risk! 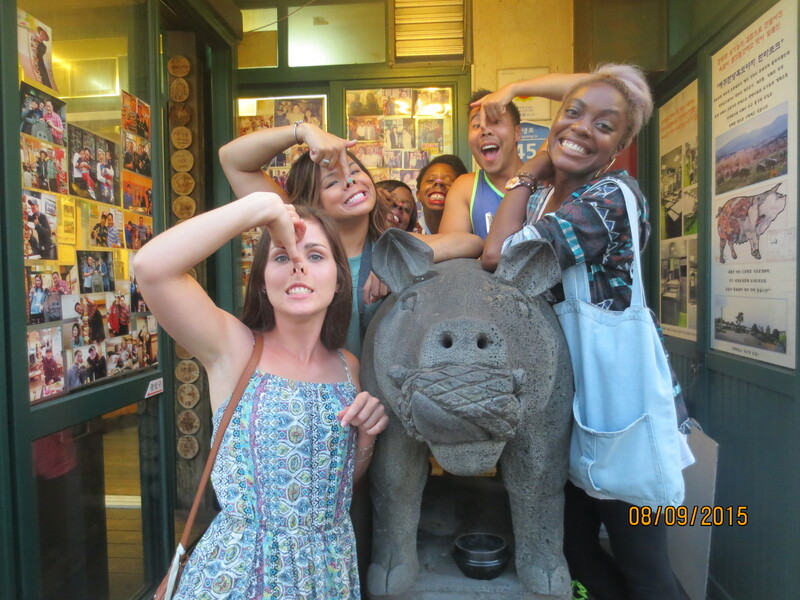 This little piggy is still going to eat her way through Korea! 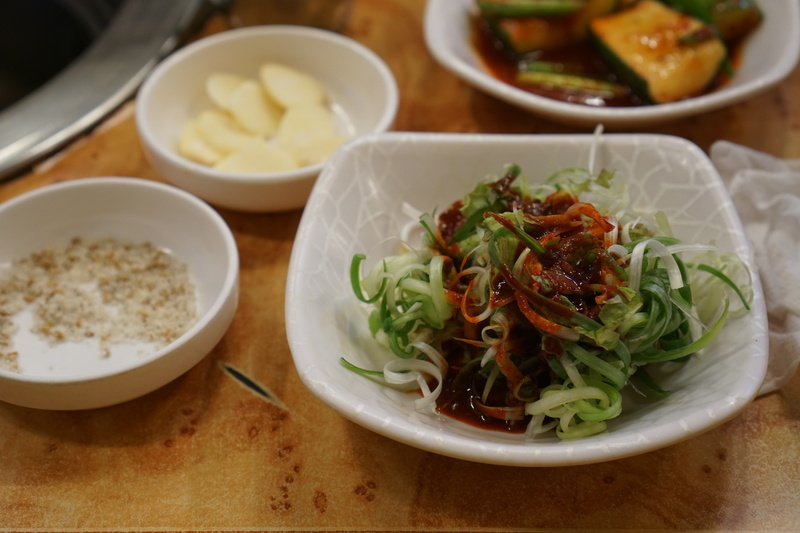 This entry was posted in #KimmyeatsKorea, EAT, Food, Korea, TRAVEL, Travels, WATCH and tagged BBQ, BlackPork, Jeju, Jejublackpork, Korea, Koreanbarbeque, Koreanbbq, KoreanFood, Pork, SouthKorea. Bookmark the permalink. Do you know what the opening times were? Are they open all week?